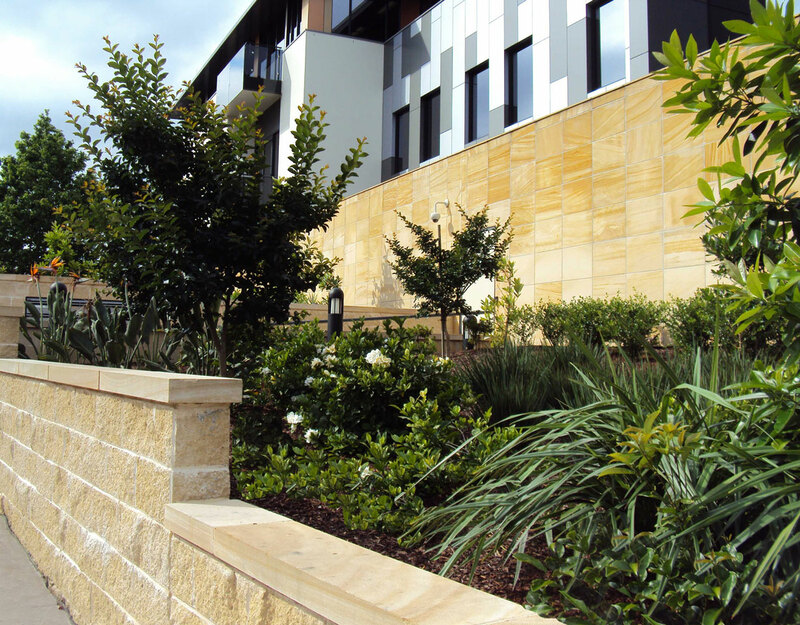 Recently completed medical specialist clinic directly adjacent to the Mater Private Hospital. 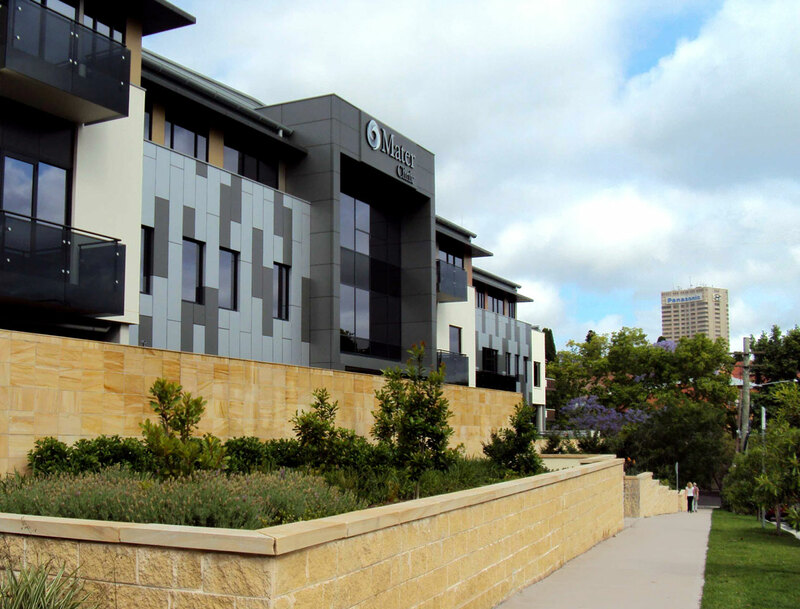 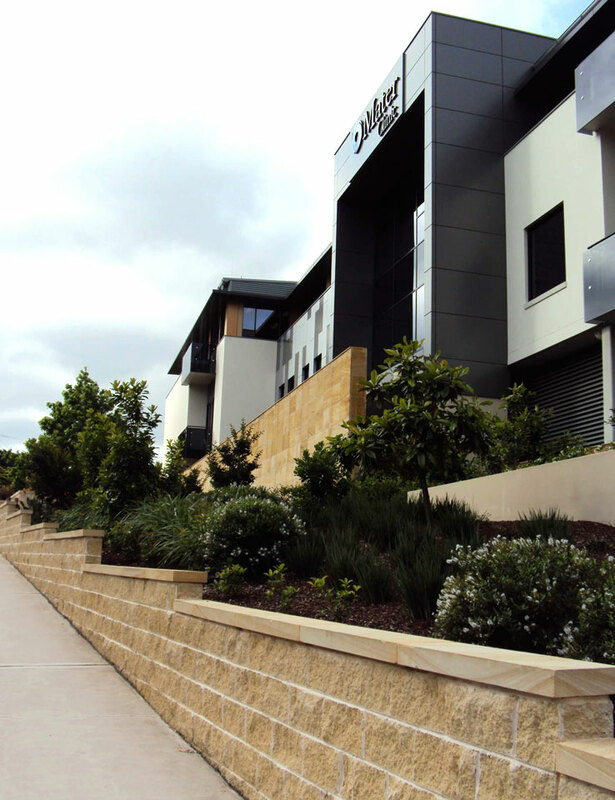 The new building presents to the Gillies Street frontage with a striking and contemporary façade treatment softened by extensive massed planted areas and new tree plantings. 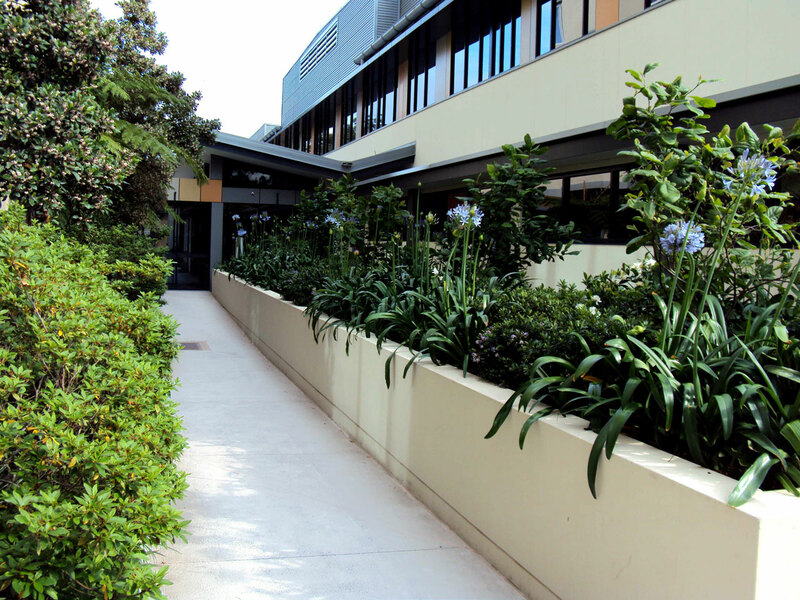 The connecting spaces with other medical buildings by contrast are more private and shady spaces. 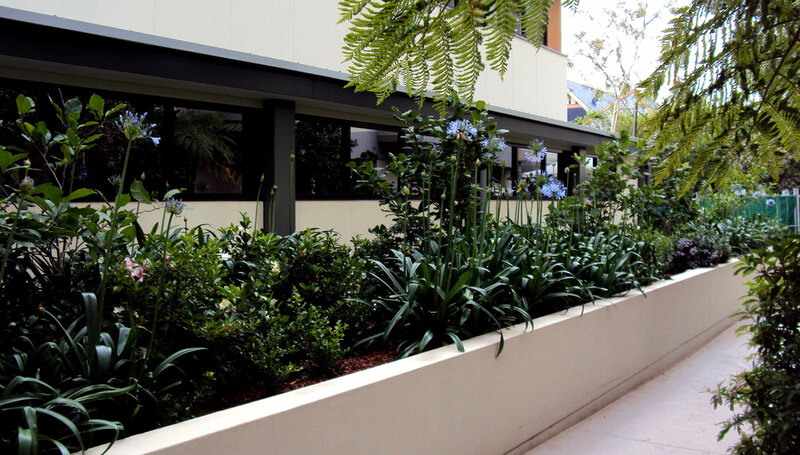 The various densely planted new building settings include numerous private seating spaces, a variety of ornamental plantings plus elevated terrace planters. 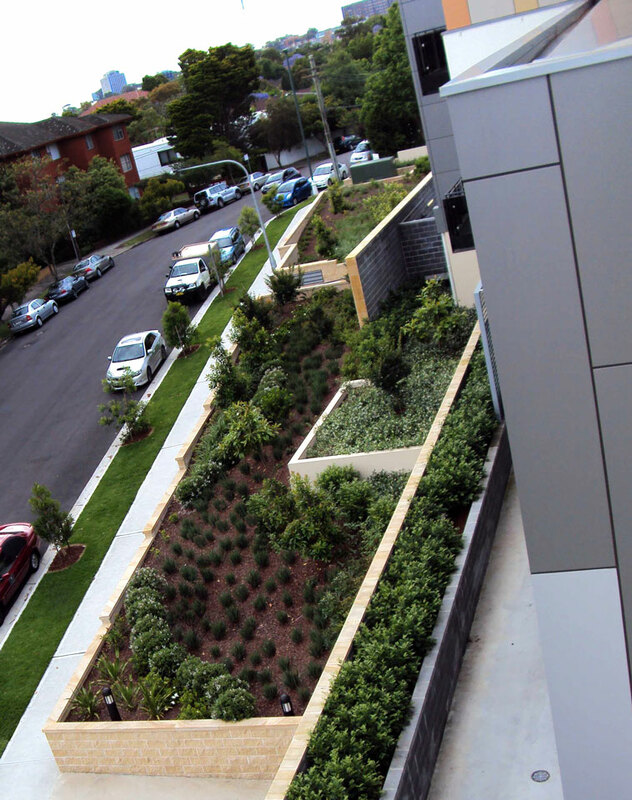 The planting selection and layout also seeks to connect the new building with a traditional heritage streetscape context.